The basic idea of ​​opening the restaurant to the outside was to create a concept in which wines command gastronomy, an appeal that values ​​the flavours of the local gastronomy, using the best that nature has to offer in each season. This is the "local food", which assumes the sustainability and the preservation of the local food resources (fish from the river, olive oil made in the property, teas and jams, the property's garden and fruits, and so on). Here, the menu appeals to the senses and emotions, in a relaxed and curious way. The proposals are different every day and guests never know the menu, letting themselves be guided by the inspiration of Chef José Pinto. There are options for children, as well as vegan and gluten-free menus and, following this philosophy, from breakfast to the daily picnic or to the bar/pool service, all services respect the same gastronomic and wine concept. The wine menu offers a wide range of options, from the wine tasting of different wines at the table and the tasting of the new wines of the year (by the glass or bottle). Customers are welcome to bring their own bottle to share it at the table, with no corkage fee attached, and the classic opening of a Port wine bottle with fire happens almost daily. The most appreciated wines can be purchased here at special prices and they are sent home by delivery service. 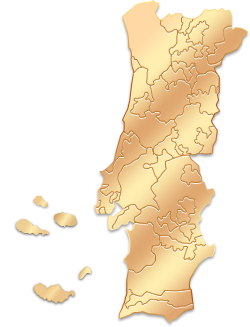 Quinta Nova is located in Covas do Douro, Sabrosa, in the Douro region. "When an experience is such a pleasure, you are left quite speechless. From booking the tour at Quinta Nova, to the great passion of the winemaker and finally the romantic, delicious dinner with tastings in a gorgeous setting! Life is rarely better. Thank you." "A wine tasting and lunch at Quinta Nova overlooking Douro. Spectacular views. Great food and service and an interesting tour of the winery. Super recommended." "Excellent food & really good service. White-knuckled drive getting there."